Visit of Auroville, a utopian, mystic and environmental project located 20 minutes from Pondicherry. Auroville, the “the city of Aurora”, was conceived by “The Mother” as a place for a universal community life, where men and women would learn to live in peace, in perfect harmony, beyond all beliefs, political affiliations and nationalities”. To-day around 1.600 inhabitants, from some thirty countries, live in this utopian and mystic place. In its centre stands the Matrimandir, the soul of Auroville. Inside there is a room coated with white marble, in which a huge solid crystal (70 cm diameter), the biggest in the world, is exhibited. It is devoted to meditation. On January 20th 2009, His Holiness the 14thDalai Lama, Tenzin Gyatso, inaugurated the Tibetan Pavilion. The architect drew inspiration from the Kalachakra Mandala plans. Staying a few days in Auroville, walking around and meditating in the Matrimandir, are wonderful experiences. For this experience, you must obtain a pass from the reception of the Visitor Center to visit the Matrimandir and the gardens surrounding it. It is also necessary to have another ‘’pass’’ for a session of meditation to the Matrimandir. A shady trail, 2 km from the Centre of the Matrimandir visitors. Auroville is located 6 km north of Pondicherry which lies 100 km from Mahābalipuram. It takes 01.45 hours by car and 2 hours by bus to go to Pondicherry, around 100 km from Mahābalipuram. This entry was posted in Areas of interest in India and tagged Ashtanga Yoga, Auroville, Chenai, Chennai, city, Dalai Lama, ecological, Madras, Mahābalipuram, Mamallapuram, Mandala, Matrimandir, meditating, mystical, Pavilion, Pondicherry, Puducherry, Tenzin Gyatso, Tibetan, utopian, utopian project, Yoga on 28 November 2014 by Jean-Claude Garnier. When in Pondicherry I warmly recommend you to pay a visit to the ashram of Sri Aurobindo on “Marine Street” in the old French Quarters. It is a beautiful colonial style mansion where the faithful meditate. In 1920 a French woman joined Sri Aurobindo and became his spiritual companion, since then known as “The Mother”. 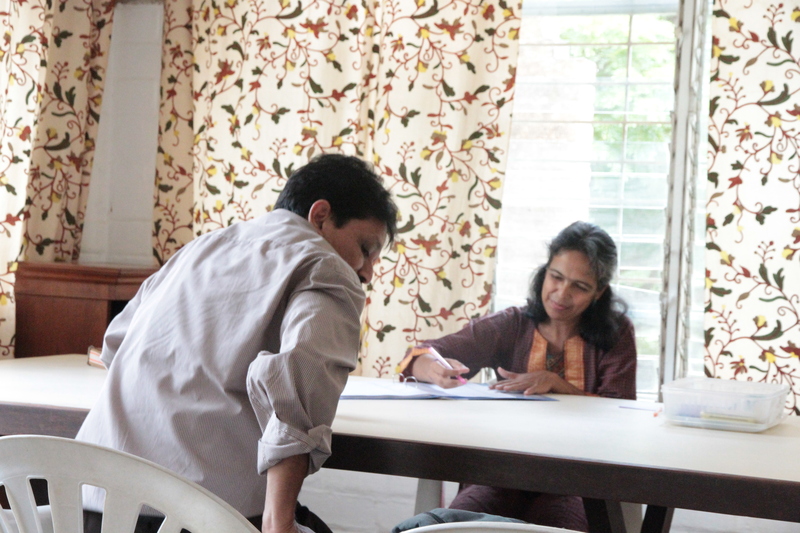 Sri Aurobindo’s teachings are a synthesis of traditional and modern Yoga. 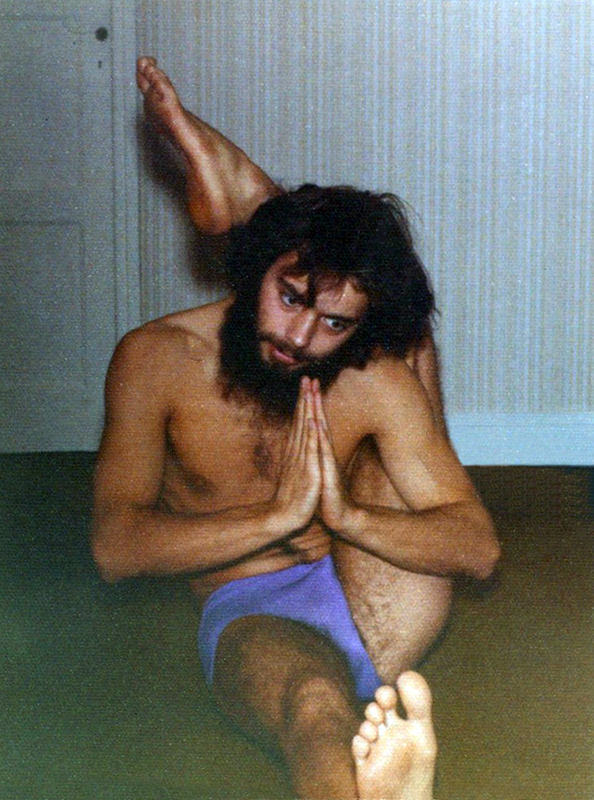 The aim of his Yoga practice is to develop inner spiritual life. With this practice the unique Self is revealed, thus developing a supramental spiritual awareness that transforms human life. 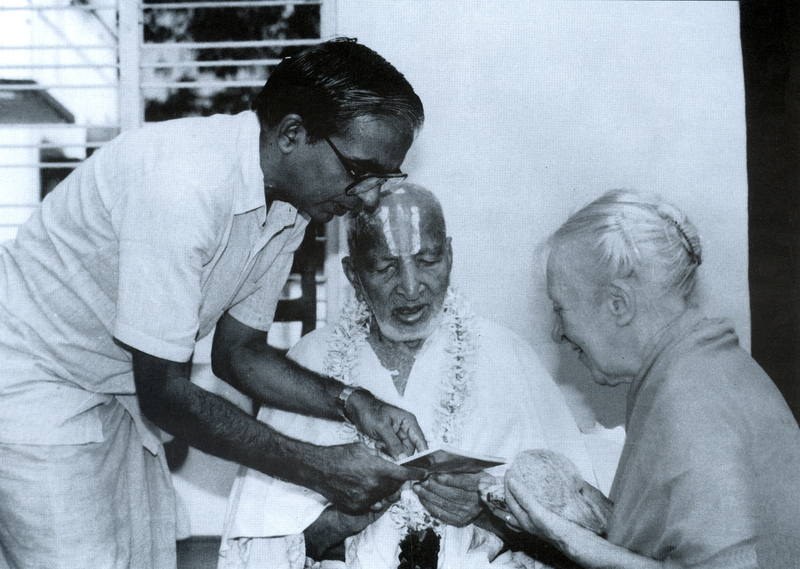 Sri Aurobindo´s ashram was founded on November 24, 1926. In December of the same year, Sri Aurobindo decided to abandon public life to dedicate himself solely to the action of the Supramental Force, leaving the management of the ashram in the hands of “The Mother” (Mira Alfassa), who continued his work after his death in 1960. This entry was posted in Areas of interest in India and tagged Ashram, Ashtanga Yoga, Auroville, Chennai, Mahābalipuram, Mamallapuram, Marine Street, Mira Alfassa, Pondicherry, Samadhi, spiritual life, Sri Aurobindo, Supramental Force, The Mother, Yoga on 28 November 2014 by Jean-Claude Garnier.